December | 2010 | Chickens Don't Clap! Every time I listen to this song feels like the first time. No joke; I’m convinced it’s impossible to not start bobbin’ your head as soon as that bubbling, talkboxed a cappella bass line drops. Smooth and raucous at once, the in-your-face wall-of-bass production from Scott Stortch and Big Boi is nothing short of monumental and has all the makings of another classic for the annals of hip-hop history. Three Stacks is rapping again now and then, but on “Shutterbugg” Big Boi reminds you with gusto that he never really stopped. His quick, forceful delivery is effortless, tying together playful humor and real talk with slick wordplay and typical charisma (“And across the border the Esé’s are getting smarter / They got flour for tortillas and lettuce for enchiladas / If you follow, wink wink / No doubt we don’t speak / In a blink, them folks could have you sleeping in the clink”). The music video will also forever be inextricably entwined with this jam, at least in my mind: Tron Suit dancers, a towering wall of Dixie cups, Big Boi scaling a mountain of shoes, The Most Valuable Puppet Band, a Dungeon Fam cameo, AND a Technicolor Cadillac? 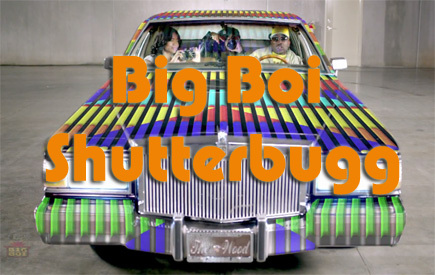 The list goes on and on and on — can’t forget to mention that epic Soul II Soul reference — but to make a loooong story short, “Shutterbugg” is simply another in a series of perfect singles from a member OutKast. Buy: Pick up Sir Lucious Left Foot: The Son of Chico Dusty over at Insound. I’ve always found myself in the camp that kind of thinks all of Beach House’s songs sound more or less the same, but enjoys a number of them nonetheless. On paper, “Norway” doesn’t stray too far from the formula — droning organs, subtle percussion, reverb-laden guitar work, and resonant vocals — yet simultaneously strikes with a refreshing unfamiliarity and staggering depth. Every element feels perfectly suited for the composition. 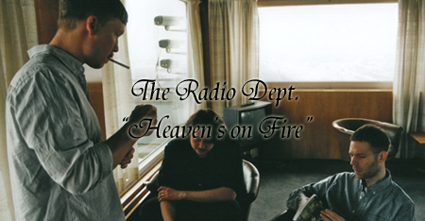 Following the brief initial hum of organ, a burst of shimmering guitars and Victoria Legrand’s breathy wordless hooks serve as counterpoint to the relative gloom of the verse, where Alex Scally’s guitar work morphs into a suffocating bend and sway while Legrand’s mournful croon pulls the listener down… down… down. Something as simple as the interplay between verse and chorus becomes remarkably moving, ultimately building to the final, soaring refrain of “Norwaaay-ay-ay-ay-ay, ay-ay-ay-aaayyyy”. Right when you think a band had exhausted their sound, they go ahead and make their best work to date without any drastic changes. Touché, Beach House. Buy: Order Teen Dream from Sub Pop Records. From 90s hip-hop inspired “boom bap record” to the massive conceptual opus it became, there’s little argument that My Beautiful Dark Twisted Fantasy gradually evolved into another leap forward in creativity for a hip-hop artist who has already traversed a greater musical landscape than most. Still, in the midst of gritty guitar work, abrasive production, copious guest appearances, and two minute auto-tune solos, Kanye did not forget where his strengths lie; on “Devil in a New Dress” he even found space to indulge his newfound prog tendencies while revisiting his roots. Opening with the kind of heart-tugging, chopped-up chipmunk-soul vocal sample and string work that has become forever intertwined with his legacy, Ye breaks down a collapsing relationship with characteristic emotional depth, introspection, sarcasm, and humor. This version of the song is pushed further than its original incarnation as a “G.O.O.D. Fridays” offering, expanded to include a bridge of climactic guitars and piano, as well as a swagger-laden closing verse from Rick Ross. 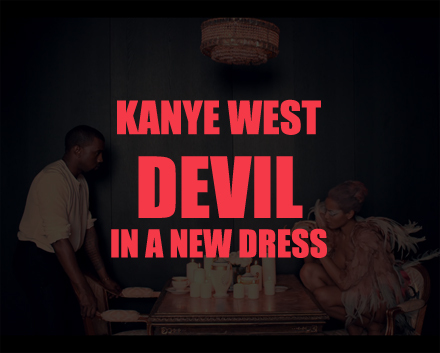 A rousing centerpiece of My Beautiful Dark Twisted Fantasy, “Devil in a New Dress” operates as a testament to both where Kanye began and currently resides artistically, fusing two perspectives with rewarding grace and subtlety. Buy: Pick up My Beautiful Dark Twisted Fantasy from Insound or iTunes. After drawing some critical attention for his excellent 2009 single “Air & Lack Thereof” / “Sparing the Horse”, James Blake laid his claim to the throne of dubstep’s more deliberate and reflective underbelly in 2010 with a couple more noteworthy singles and three stellar EPs. His growing discography is filled with an impressive amount of variation and standout tracks, but his strongest single offering from this year is the title track of the R&B-obsessed CMYK EP. 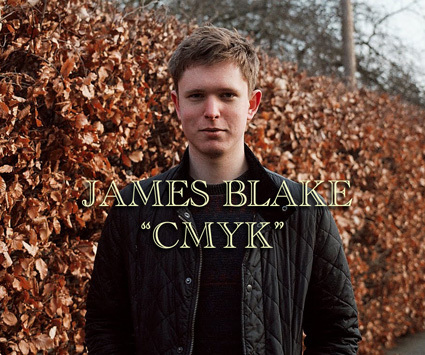 Though quickly becoming known as a master of stark minimalism, Blake’s “CMYK” balances its initial sparseness with a massive, surging wall of buzzing bass, waves of static, vocal cut-ups, and layered, syncopated beats. Centered on a few sampled passages of Kelis’ 1999 single “Caught Out There”, this tune completely transforms these fragments into something well beyond the traditional role of lyrics and language in pop music, mutating and modulating them into mysterious, hazy, dark, and emotive elements of sound. Ultimately, “CMYK” feels like one of those watershed moments for dubstep and electronic music more broadly, as Blake stretches and embellishes the familiar into something refreshing and wholly original. Buy: Get CMYK over at R&S Records or iTunes. After dropping one of my favorite dance tracks from this year, Christoph Andersson is set to release the second in his debut single series via his own label, Hurst Recordings. 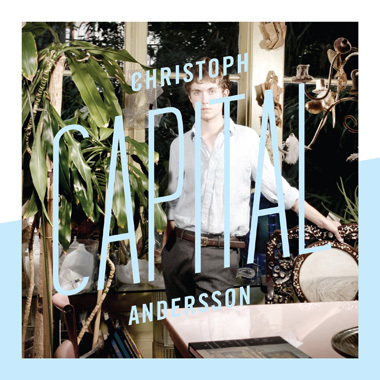 I’m a total sucker for anything with that French touch and this 18-year-old New Orleans upstart is certainly channeling the best bits of French house music in his slick, stuttering, funk and pop-informed electronica. There’s a lot of talent and potential right here, so definitely keep your eyes on this kid! Buy: Get the “Tuxedo” single from iTunes and look for “Capital” on Dec. 21st via Hurst Recordings. So I got a little digital mixer recently and in order to boost my live mixing skills and learn my music a bit more, I’ve decided to challenge myself by making a series of stream of consciousness mixes with no pre-cue (ie: not being able to hear what I play next in headphones). Immediately after I’ll give the mix a title and maybe some hastily photoshopped artwork. All of these will be mixed and recorded live, in one take, via my DJ/mix software. I plan on sharing the better bunch of these with ya’ll. 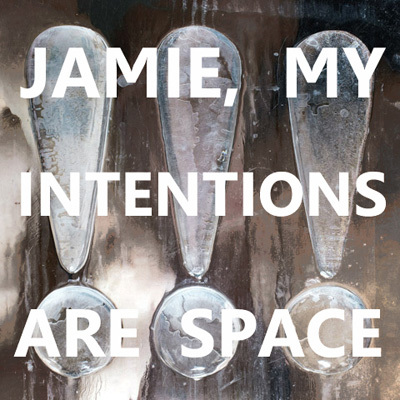 This one is centered on a lot of spacey, hip-hop influenced electronic music I’ve been diggin’ on recently and was mixed and flippantly titled “Jamie, My Intentions Are Space” (a play on the title of a recent !!! single) back on November 2nd. Stream/download this mix via SoundCloud down below and peep the full tracklist after the jump.